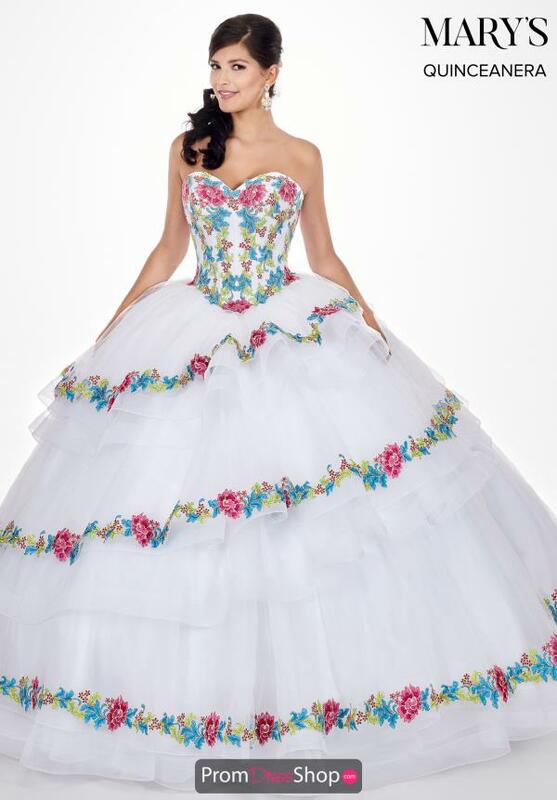 Be the Belle of the ball in this exquisite quinceanera dress MQ1038 by Mary's featuring a strapless sweetheart neckline, a corset bodice and full skirt embellished with contrasting lace appliques. The colorful appliques really stand out and give this gown something different, add a bit of sparkle with tear drop iridescent earrings and a matching tiara. 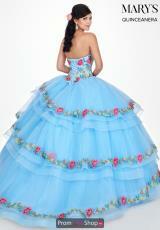 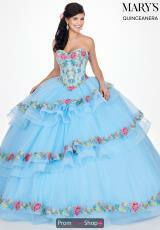 Find more ball gowns by Mary's Bridal at www.promdressshop.com today.